Creation Science Society of Milwaukee - What's New? Thursday, April 4 - hosted by Living Waters Bible Camp. Westby, WI. COST: FREE * These events are free and open to the public. Creation literature and DVDs will be made available. A freewill offering will be taken. "And he [Solomon] spake of trees, from the cedar tree that is in Lebanon even unto the hyssop that springeth out of the wall: he spake also of beasts, and of fowl, and of creeping things, and of fishes. And there came of all people to hear the wisdom of Solomon, from all kings of the earth, which had heard of his wisdom." On this website (NOT connected to CSSM), CREATION DVDs are streamed all day, 24/7/365. They are accessible through your internet connection. The service is free, but they do need donations to keep this ministry going. It reaches the English-speaking part of the world, anywhere the programs are not blocked. Jan 8, 2019_Ken Bahr, John Markworth_ Whats in YOUR Science Book? What's in YOUR Science book? TITLE: What's in YOUR Science book? COST: FREE * a free-will offering will be taken. TITLE: The Rocks Cry Out! Invite a friend to Chapel! Come to hear Bruce Malone, Missionary to Fiji and learn about the Exciting NEWS: Fiji and the Philippines are experiencing a great revival through the Pearls in Paradise Project. Bruce Malone is teaching creation principles in public high school science assemblies. Each student is given a Bible and a creation based science textbook. By tying the evidence for creation from science back to the Biblical model and teaching about the Authority of Scripture, God is using this project to bring tens of thousands of teens to Jesus, as they realize everything the Bible has to say is true. Bruce Malone will show you how you can apply these tools to present the Gospel to those around you. Join us for a FREE 2-hour seminar titled How to FOLD a ROCK by Bruce Malone, Founder of Search for the Truth Ministries. How to FOLD a ROCK explores evidence that affirms the creation account in the book of Genesis. It was the denial of the global flood which directly led to the widespread acceptance of Darwinian evolution. Bruce Malone brings geology to life, using visual images, demonstrations, and video clips to explain the mechanisms which formed the rock layers during the flood. In fact, the very rock layers we walk on provide the strongest evidence for the accuracy found in the Genesis account! TIME: 10:30 AM - 12:00 noon. Invite a Friend to Family Bible Hour! A look at the greatest Artist and the ultimate Engineer’s specific inventions which have changed human history. These are not general scientific principles, but specific examples of things mankind would never have invented without first observing God’s creation. We’ll also examine why mutations, natural selection, and adaptation could never have produced such wonders. Bruce Malone will show you how the evidence for creation can transform your future and how you can apply these tools to present the Gospel to those around you. TITLE: 2-Hour Apologetics Seminar - The Rocks Cry Out! Invite a friend to join us in Kenosha! Join us for a FREE 2-hour Apologetics Seminar. Malone’s The Rocks Cry Out Apologetics Series - and How to FOLD a ROCK brings science to life. In this intriguing message, Bruce Malone shares “the very laws of science are designed so we will know we have a creator. In fact, even the very rock layers we walk on provide the strongest evidence for the accuracy of the Bible! Learn how the evidence for creation can transform your future and how you can apply these tools to defend your faith and share the Gospel with those around you. Invite a friend to listen or call-in! The Crosstalk Radio Talk Show is heard each weekday on over 100 radio outlets across America and worldwide on the Internet. Crosstalk covers the issues that affect our world, our nation, our families and the Christian church from a perspective centered in the Word of God. Whether we discuss the economy, the political scene, the continuing moral collapse of our nation, legislation that affects the family, or the state of evangelicalism, our authority is found in the unchanging standard of the Holy Scriptures. Jim Schneider has worked for over 30 years to bring solid information to the body of Christ.? Exciting NEWS FIJI | Bruce Malone is speaking on creation and distributing books to every student in every public school in the nation of Fiji over the next several years. Tying the evidence for creation from science back to a Biblical model for reality is bringing tens of thousands of student to Jesus as they realize EVERYTHING the Bible has to say is true. Bruce Malone has authored or coauthored 7 books on creation which have 500,000 copies in distribution. Learn more about Bruce Malone books and materials at www.searchforthetruth.net. for special rates in two nearby hotels! This exciting event allows you and your students to visit one on one with representatives from Christian institutions across the country who hold to biblical authority and young-earth creation. Also, four of AIG's top speakers will present sessions on why Genesis matters, evidence for creation in biology and cosmology, and the history and effects of the evolutionism. College Expo 2018 is a free event. All registered students receive complimentary admission to the Creation Museum and an opportunity to win a $500 scholarship. And, new this year, students and their families receive a 20% discount on admission to the Ark Encounter, located just 45 minutes south of the Creation Museum. This event is free, but to prepare for your arrival AIG requests that students register. Inspired by 2 Corinthians Chapter 10, Mr Gerald Frye, will bring a message about the High Things Set Against the Knowledge of God. Join us on Tuesday, October 2, 2018, and come prepared to gain a new perspective into 2 Corinthians Chapter 10. Mr. Gerald Frye is president and owner of The Benefit Services Group, Inc, an employee benefit brokerage firm that serves nationwide employers in a variety of industries, and consults for health care systems in Wisconsin and Illinois. He has served for more than 25 years in various roles in the insurance and employee benefits industry. Jerry is regarded as an industry innovator and has been a featured speaker at numerous events including the University Conference Services series, CEBS seminars, physician symposiums, employment law seminars and Americans for Prosperity forums. Jerry attended the University of Wisconsin, Milwaukee, and majored in chemistry and accounting. 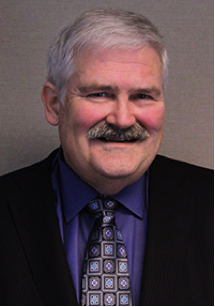 He has earned the professional designations of Chartered Life Underwriter (CLU), Chartered Financial Consultant (ChFC), Registered Health Underwriter (RHU), Registered Employee Benefit Consultant (REBC), and Chartered Advisor for Senior Living (CASL). Jay Seegert of Starting Point Ministries is hosting a Seminar at Hales Corners Lutheran Church. Suggested Donation $20. Half-Day Training Seminar & Dinner. Cost $35 Full-Day Educators Conference & Lunch with CEU Credits. We're Sending in the Marines! Mr. Mike Riddle, Marine Officer Instructor! Mike Riddle of Creation Training Initiative (CTI) and former Marine Trainer will share a message on How to Equip Youth to Trust God's Word (A Briefing) Marine Officer Style. SHARE OUR FACEBOOK EVENT POSTS! You are invited to drop your youth for the Kenosha Sunday Awana programs -- All parents, teens and young adults are invited to attend an invigorating two-hour seminar with speaker Mike Riddle, former USMC Marine Captain and founder of Creation Training Initiative. Prayer House and Kenosha area churches are bringing in the Marines to help prepare you! in partnership with Prayer House and Kenosha Area Churches. Equip Students to Defend Their Faith! Mr. Mike Riddle will bring a timely message to help families equip your children to Defend their Faith. In Marine Officer Style, Mike Riddle will prepare families for the battlefield. Starting with a briefing of the situation, Mike will explain the mission, and present a strategic and tactical plan for a successful execution. Come prepared for action - push-ups may be imposed. Sept 8, 2018_ Mike Riddle_ Christian Educators Conference_VIDEO 40 sec. 40 second video ! Must see! Register Today! $35 for 9-hour Christian Educators Conference. Includes LUNCH, 100-page manual, and CEU Continuting Education Credits. Mike Riddle of Creation Training Initiative (CTI) is hosting a Full-Day Christian Educators Conference to equip and train ministry leaders, teachers with the skills and knowledge necessary to teach about biblical Creation, evolution, and apologetics. Participants can earn continuing education credit for teacher salary progression and recertification. $35 (includes the full day of training, a student manual and lunch) and CEU Credits. Equipping and Training Ministry Leaders, Teachers, Church Staff, and Homeschool Parents with the skills and knowledge necessary to teach about biblical Creation, evolution, and apologetics. Why is the world attacking Genesis? What does “day” in Genesis 1 mean? If evolution were true what should we find? • Who did Cain marry? • How could the first three days of creation be literal days if the sun was not created until day 4? • How could Adam name all the animals in one day? • If dinosaurs evolved what should we find? How well are churches doing with educating people? Mike Riddle of Creation Training Initiative (CTI) is hosting a 4-hour Seminar & Dinner at Brookfield Lutheran Church. Learn about Critical Thinking, Science & Bible Training designed to Disarm Evolutionists! A $20 donation is highly encouraged but not required to register for this event.? If evolution is true what should we observe? Four foundational questions are presented and examined which establish why evolution cannot be defended scientifically and must rely on faith. The seminar shows how the layperson can successfully witness to an evolutionist. 1. Where did the matter come from to create the universe? 2. How did life originate? 3. Where are the transitional fossils? 4. Where did the dinosaurs come from? The 2018 ICC International Creation Conference will feature over 50 renown scientists and researchers. The ICC is recognized as the World's premier gathering of Creation researchers and serves to further the Creation model of origins. A coherent platform for the pedagogical, professional, and legal issues involved in the teaching of creation science at the secondary and tertiary levels. The sponsors of the ICCs maintain that the discipline of creation is a binding element unifying all areas and disciplines including science, education, history, sociology, medicine, mathematics, etc. It is therefore, an intention of the ICC's to provide a forum for the rigorous development and systemization of the Creation model of origins. 500 Mansfield Avenue, Pittsburgh,Pennsylvania, 15205, USA? Come Hear the Leaders in Creation Science: Featuring over 50 Renowned Scientists and Researchers at the world's premier gathering of Creation speakers serving to further the Creation model of origins. Andrew A. Snelling Ph.D. in geology, Director of Research for Answers in Genesis. Duties of the Officers and the Board per CSSM By-laws Article 4, paragraph 5 requires the CSSM Board shall meet in July (or August) for the purpose of reviewing the proposed programs for the year as formulated by the Program Committee. The Large Meeting Room has been reserved with screen. Some of our attendees will SKYPE into the meeting at a designated time. MORE INFO: You may attend the meeting via SKYPE. Please contact pamcourtney@genesismatters.org if you would like to attend via Skype. Recommendations by the board, concerning old business. 1. Proposed programs for the 2018-2019 year (presented by the Program Committee). 4. New Committee Member Sign-ups (Interested individuals may join existing committees to assist during the 2018-2019 season. New members Welcome! You are invited to JOIN a Standing Committee RSVP to attend or sign-up. Jay Seegert of Starting Point Ministries is hosting a guided tour of the Grand Canyon this summer! The tour begins and ends in Phoenix, AZ. The price includes three hotel nights, our Grand Canyon tour, a guided raft trip on the Colorado River, meals from dinner the evening you arrive through breakfast the morning you depart, water bottles, snacks and life-changing information provided by Jay and Russ. You’ll arrive in Phoenix (Thur, August 23) for an overnight included in your trip package. We'll end back in Phoenix the night before you depart so you can fly/drive home the next day (Sun, August 26) - a great four-day trip/mini vacation with an investment in eternity! Breakfast at hotel • 17-mile raft trip down the Colorado River (no white water rapids!) • Lunch in historic Lee’s Ferry • Dinner and overnight at Hyatt Place, Tempe, AZ, Phoenix Airport. Breakfast at hotel, travel home with tons of eye-opening knowledge and great memories! Midwest Creation Fellowship? Event in Illinois - but a short drive for Wisconsin Creation Friends. (55 min from Milwaukee). Charles Darwin’s The Origin Of Species By Natural Selection Or The Preservation Of Favored Races In The Struggle For Life is considered one of history’s most in?uential books, and Darwin has become the foundation of evolutionary biology. But what if Darwin were looking at the same evidence today using modern science; would his conclusions be the same? All sessions are held in PH 026, the Pharmacy Building at Concordia University Wisconsin. “Theistic Evolution – Contentious Compromise.” Our presenters will show that both God’s Word (Scripture) and God’s World (Science) affirm Creation and reject evolution. Friday Session Title: "Contentious Compromise - Why God Didn’t Use Evolution"
Both God’s Word (Scripture) and God’s world (science) are clear – God created the heavens and earth supernaturally over six days. He did not use or allow a natural process (evolution) to produce the universe and life over vast ages. Why is theistic evolution such a popular idea, and why is it accepted by many Christians? Let’s investigate the questions theistic evolutionists raise. And, let’s understand the reasons put forward in support of theistic evolution. Unless we understand their terms and questions, we can’t effectively answer them. Saturday Session Title: "Clearly Created – How God Formed Heaven and Earth"
Both God’s Word (Scripture) and God’s world (science) are clear – God created the heavens and earth supernaturally over six days. He did not use or allow a natural process (evolution) to produce the universe and life over vast ages. How can we respond to the questions raised by theistic evolution? Once we understand the reasons for believing in theistic evolution, we are in a better position to answer questions and provide a superior model of origins, the creation model. Rev. Prof. Kevin Voss, Ph.D.
Rev. Prof. Andrew Steinmann, Ph.D.
Christians who endorse theistic evolution often seek to interpret Genesis 1 as myth or metaphor, claiming that the six days of creation can be interpreted as something other than simple solar days. This presentation will present three lines of evidence that demonstrate that the days in Genesis 1 must be understood as regular solar days: First, it will be seen that in the Hebrew text the first day is numbered using a cardinal number, one, not the ordinal number first. Subsequent days are numbered using ordinal numbers but with no definite article (e.g., “a second day”). Second, each day is defined as consisting of evening and morning, thereby making each day a solar day and anticipating the sabbath command at Exod 20:8–20. Third, it will be shown that the refrain at the end of each of the six days in Gen 1 has the form of a historical summary formula similar to other historical summaries in the OT. These three observations nullify any attempts to understand the six days of creation as anything other than regular solar days. Origins has been presented by evolutionists as an “experts only question.” You are supposed to accept that evolutionary scientists have the answer and you are unqualified to investigate origins yourself. However, we underestimate the ability of basic common sense and intuition to investigate origin claims. Examples from K-12 science experience, such as the scientific method, fossil record, and biochemistry will illustrate the point. Let’s investigate the implication for us as parents, teachers, and church workers in “handing authority over” when it comes to the origins debate. What is it that God’s people really need with respect to creation and evolution issues? What tools do they need in order to help them evaluate things such as creation models and points of evolution from a Lutheran perspective? It is absolutely imperative that Christians begin by making certain fundamental distinctions in order to enable them to assess creationist models and evolutionary viewpoints adequately. Therefore, what is of great help to God’s people is not necessarily providing a new creation model, but rather — and more importantly — providing a way of evaluating such models using certain important distinctions. What does it mean to live an "apologetical" lifestyle, and what is the relationship between a Christ-centered defense of the faith and six day, literal creation? Are all worldviews created equal, or is there a way to discern which of them - if any - is true? In this presentation, we will examine a conversational approach to apologetics and ways that we can engage challenges to the faith. We will investigate strategies to communicate the truth on a personal level and, in love, point out the dangers of contradictory worldviews in an age of uncertainty. If evolution cannot be supported by science, then a compromise position is untenable. Late registration (after May 31): add $5.00 to the daily rate or $10.00 to the full conference rate. Who of us has not marveled at the beauty and artistry of the monarch butterfly? But monarchs are exceptional in another way: they are the only known butterflies that migrate. Known as The Methuselah Generation, these late season monarchs travel up to 3,000 miles to reach overwintering sites in Mexico. When spring arrives, they begin the return trip back north. How do they do that you ask? Their navigational system remains a mystery to man but is clearly known to God, their creator. Metamorphosis: Science that Debunks Evolution! Pam Courtney began sharing her science enthusiasm for Monarch butterflies after one of her tagged monarchs was recovered in Mexico. For over twenty years now, she has been teaching adults and children how to raise monarchs, from caterpillar to adult, and how to participate in tag-and-release migration tracking programs. Pam’s classes discuss that the butterflies are intelligently designed and that they go through metamorphosis: this science debunks evolution! Pam is currently writing a book on the lifecycle of the monarch butterfly and plans to continue her research at both the California over-wintering sites and the Michoacán migration sanctuaries located along the Trans-volcanic geologic belt in Mexico in 2019. The oyamel fir forest offers a unique mountain habitat for the two-way migration of the Monarch populations. Pam will be working on a photography documentary project and other research at the El Rosario Monarch Butterfly Preserve in Mexico. DONATIONS are appreciated to support this research work. Please join us to hear about these intriguing insects as Pam Courtney, takes us into the world of the monarch, discusses their metamorphosis evidence that points to the Creator, The Methuselah Generation, and The Amazing Gospel Analogy in the Lifecycle of the Monarch Butterfly. She will also give butterfly gardening tips to help you attract these lovely creatures to your own backyard. Flowers: The primary flowering plant to include in your garden is "Liatris" Liatris: Meadow blazing star, Meadow Blazing Star, Rocky Mountain Blazing Star, Showy Blazing-Star, Liatris spicata, Liatris pycnostachya, Liatris lingulistylis. Purple Coneflower (Echinacea purpurea), Rudbeckia Hirta (Black-Eyed Susan), and Butterly Bush. Milkweed comes in many varieties: plant a mix in your garden! Common Milkweed (Asclepias syriaca), Tropical Milkweed (Asclepias curassavica), Butterfly Weed (Asclepias tuberosa), Swamp Milkweed (Asclepias incarnata), Showy Milkweed (Asclepias speciosa), Prairie Milkweed (Asclepias sulivantii). Pam graduated from Cardinal Stritch University with Bachelor’s Degrees in Business Administration and in Management of Information Technology. She also holds Associate Degrees in Commercial Art & Design and Photography. Pam is the Founder of Monarch Adventure Teaching Ministry, and is currently serving as Vice President of Creation Science Society of Milwaukee. (CSSM). Tracy Klicka | HSLDA Foundation | Help for families homeschooling through hard times. MORE Details http://wihomeschool.org | Please lift up prayers for all aspects of this event. May the Lord Fill the House with those He calls to attend, in Jesus Name we pray, Amen and Amen. Please Share this event: http://wihomeschool.org Click the Register icon. Call our call center to order tickets. (844) 699-4054 Monday-Friday 8:00 a.m. - 5:00 p.m.
Tickets: $59 adults. Family discount, 2nd adult 50% off. Founders Dinner: Inspire | Equip | Encourage! Friday, April 20, 2018 | 6:00 p.m. - 8:00 p.m.
(Located across the street from MATC Oak Creek Campus). Friday Evening Founders Dinner and an exclusive session with our speakers. For just $20 you can add a Ladies Luncheon. Moms, Daughters, and Grandmas welcome to attend. This option will be available as a registration add-on. As homeschool moms, we pour ourselves into the lives of our family–a privilege that can sometimes leave us drained and in need of spiritual refreshment. At the Ladies Harvest Luncheon, you can get some of the nourishment you need in an unforgettable afternoon created especially for YOU! 6:00 pm - 7:20 pm | Encountering Noah and the Ark. (Free event). Tim Chaffey to address skeptical questions about the Flood account and giving a behind-the-scenes look at the Ark Encounter. 7:30 pm - 9:00 pm | Nurturing Competent Communicators (Free event). Many parents and teachers assume that good readers will naturally or automatically become good writers. Others think that writing talent is just a natural ability—some have it, others don’t. Both are myths. History and observation show very clearly how good writers have developed, and what are the two most critical things parents and teachers can do to nurture a high level of aptitude—from a young age through high school. With humor and insight Andrew Pudewa will share the two easy but unbelievably powerful things that must be done at home and in the classroom to create confident communicators. Join us on Sunday, April 15 at 7 p.m. as guest speaker Tim Chaffey discusses “The Relevance of Genesis.” He will explain the importance of the first eleven books of the Bible to our modern world. This is the perfect event to invite anyone you know who has questions about Genesis and Creation. Tim is the founder of Midwest Apologetics and works as the Content Manager with the Attractions Division of Answers in Genesis. As Content Manager of Attraction at Answers In Genesis and he has developed many of the exhibits at both the Creation Museum and Ark Encounter in northern Kentucky. Raised in Wisconsin, he now lives in Kentucky with his wife and two children. Monday, April 9, 2018 Q90 Radio Interview 9:25 a.m.
Sunday, April 15, 2018 Oak Creek Assembly Evening Service 7:00 p.m.
Monday, April 16, 2018 VCY TV Channel 30 In Focus | 7:00 p.m.
Tuesday, April 17, 2018 VCY National Radio Show: Crosstalk | 2:00 p.m.
Tuesday, April 17, 2018 Harvest Community Church 6:30 – 8:00 p.m.
Friday, April 20 , 2018 Wi Homeschool Conference 1:00 pm – 5:00 p.m.
Saturday, April 21, 2018 Wi Homeschool Conference 9:00 a.m. – 5:00 p.m.
Tim Chaffey not only thinks big — he is big! At 6’9” Tim towers over most everything. Chaffey joined Answers in Genesis in 2010 after serving many years as both a pastor and a science and Bible teacher in Wisconsin. Today he serves as the Content Manager for Attractions at AiG, and oversees research and writing of content used to develop and explain the many exhibits at both the Creation Museum and the Ark Encounter. In addition to his many articles for the Answers in Genesis website, Answers magazine, and Answers Research Journal, Chaffey has written a number of books, including Old-Earth Creationism on Trial, God and Cancer: Finding Hope in the Midst of Life’s Trials, The Truth Chronicles (with Joe Westbrook, books 1–6), Noah: Man of Destiny, Noah: Man of Resolve, and In Defense of Easter: Answering Critical Challenges to the Resurrection of Jesus. 18500 W. Burleigh Rd. Brookfield, WI 53045. The Truth About You - Three worlds; body, soul and spirit. Three worlds: body, soul, and spirit. Inspired by Genesis 1, Romans 1 and the Apostle Paul’s speech in Athens, as recorded in Acts 17, Donald Jacobson, Ph.D., will outline a new and different perspective on the Creation-evolution question, in an upcoming presentation to the Creation Science Society of Milwaukee. The essence of his message is that every person exists in three worlds -- physical, biological and experiential. God is the creator of the universe and conscious life and man in His image. We are body, soul, and spirit. Any explanation of a person (including you) must account for the existence and origin of the material body, the mind, and the spiritual heart. When these explanations are compared, supernatural creation offers a much superior answer for the fact and the experience of our existence. Evolution is found woefully inadequate. Join us on Tuesday, March 13, 2018, at 6:30 p.m. Come prepared to gain a new perspective into these Three Worlds and The Truth About You. Donald Jacobson received his M.S. degree in Applied Physics in 1975 from the University of Wisconsin, Madison. After graduation he worked in industry for 12 years, in various positions including Vice President and Director of Research and Development for Radiation Measurements Inc. in Middleton, WI. In 1980 a position at GE Medical Systems brought him back to Milwaukee. In 1987 he joined the faculty of the Medical College of Wisconsin as an Instructor of Radiology. He completed a Ph.D. degree in Biophysics and was promoted to Assistant Professor of Radiology in 1991. Jacobson is certified in Diagnostic Imaging Physics by the American Board of Medical Physics and the American Board of Radiology. He has taught imaging physics in over 550 continuing education courses, has six patents relating to radiology, and authored a book on the physics and technology of mammography. Donald Jacobson served for one year as the Technical Director of the Science Education Center at Timber-lee Christian Center in East Troy, WI. While there, he wrote a science curriculum that incorporates humanity and supports the Biblical worldview. He also built a number of hands-on science demonstrations for the center. In the 1970s, Donald Jacobson began teaching on the topic of science and the Bible. His teaching experience includes Middleton Bible Institute at the Middleton Baptist Church in Middleton, WI and Moody Bible Institute Evening School in Madison, WI. He has taught classes and made presentations in a variety of churches and to high school and junior high school Time-Out groups. Donald and his wife Cathy have been married for 46 years; they have three children and eight grandchildren. 5:30 PM Dinner: RSVP not required. Arrive between 5:30 PM and 6:30 PM and have dinner on us! Food will include Rotisserie chicken, mashed potatoes, gravy, cole slaw, green beans, corn, rolls, butter, milk, coffee, water, cookies. Donations are requested but not required. Dr. Scott Hardin: "The Genesis Worldview: Preparing a Defense"
FIND A THEATER NEAR YOU! The new documentary IS GENESIS HISTORY? takes the approach that the first chapters of Genesis are critically important. It sees them as controversial because they present a history of the world directly in conflict with the conventional history taught everywhere in the media, textbooks, and schools. This conflict is one of the reasons so many Christians are interested in Genesis. They know the events recorded in those chapters are rejected as history by everyone outside the church, and even by some inside the church. It is a conflict that some Bible scholars have tried to smooth over by re- interpreting “days” as long ages and arguing that Noah’s flood was not truly global. Yet these interpretations do not appear to be a straightforward reading of the words in context. Although these reinterpretations may be well-intentioned, they seem to be an attempt to find a middle ground between two histories that are essentially contradictory. A brief glance at the history of Biblical interpretation reveals it was only after 19th-century geologists and paleontologists began to argue the earth was very old that some Bible scholars began to reinterpret Genesis in terms of long ages and a local flood — not before. They were clearly influenced by the current scientific environment to change the meanings of words and phrases that didn’t fit with the new natural history of the world. This is why everything comes back to history: what actually happened in the beginning? God could easily have said the world formed progressively as it was populated over billions of years, or that Adam and Eve evolved, or that Noah’s flood was isolated in the Middle East. .... Don't miss this documentary movie! A MUST WATCH MOVIE to LEARN MORE! The truth will surprise you! Creation Ministries International presents a milestone documentary that solves one of the most haunting and persistent mysteries of our time. The evolution connection to UFOs. Alien Intrusion, based on the book by Gary Bates of Creation Ministries International, might not sound like a serious apologetics movie, let alone one that concerns the topic of creation vs. evolution. So why did CMI make this movie? THE EARTH IS SPECIAL: Many people are not aware that the Bible has a great deal to say about the universe. And as vast as the universe is, Scripture takes a high view of our planet in particular. In fact, while the Bible doesn’t speak specifically about intelligent life forms on distant planets, we can make logical deduction from Scripture that would indicate there is a Gospel issue with the idea of extraterrestrial beings. God is not at all silent on this topic and gives us keen insight on his plans and purposes—not just for planet earth, but all of humanity and even the entire cosmos which will be destroyed and recreated because of the effects of sin on this current creation. So, let’s glean truth on this subject from both Old Testament as well as New Testament passages. Print out and read the article Did God Create Life on Other Planets?, available freely at www.creation.com/alien-life. Science fiction is the no.1 most-popular entertainment genre, and it has never been more popular. In fact, the Top 2 movies in box office history are both science fiction, Star Wars: The Force Awakens and Avatar. Take a deeper look and you’ll find that more than half of the Top 15 films of all time are science fiction. That number looks to grow even more with the recent release of Star Wars: The Last Jedi. Americans, and the entire world, are fascinated with the idea of interplanetary space travel and advanced beings from galaxies far, far away. Yet most never consider the implications of belief in aliens and extraterrestrial life. As science fiction grows more and more popular, it begins to take on an air of purely science and becomes more detached from being fiction. We see this progression take place in the creation of efforts such as the Search for Extra-Terrestrial Intelligence (SETI), an organization attempting to make contact with older and more advanced civilizations from other worlds, funded by NASA. This has a very subtle but certain way of reframing the theology of believers without them even knowing it. It also coincides with a growing rise in accounts of alleged alien encounters, and even abductions. But is all this valid? Are there really alien civilizations in our vast universe? It’s important that Christians understand the issues, and be able to intelligently answer questions and engage in dialogue with a culture certain of advanced beings from outer space observing us. That’s what the movie "Alien Intrusion” is all about. Don’t miss it! Pam is currently writing a book on the lifecycle of the monarch butterfly and plans to continue her research at both the California over-wintering sites and the Michoacán migration sanctuaries located along the Trans-volcanic geologic belt in Mexico. The oyamel fir forest offers a unique mountain habitat for the two-way migration of the Monarch populations. Pam will be working on a photography documentary project and other research at the El Rosario Monarch Butterfly Preserve in Mexico. DONATIONS are appreciated to support this research work. Pam graduated from Cardinal Stritch University with Bachelor’s Degrees in Business Administration and in Management of Information Technology. She also holds Associate Degrees in Commercial Art & Design and Photography. Pam is the Founder of Monarch Adventure Teaching Ministry. Bring your families to learn about the Monarchs! Sponsored by the CREATION SCIENCE SOCIETY OF MILWAUKEE, Inc.
As diverse as our universe is, there’s a common thread running through every object and process we observe: information. Yet information is neither matter nor energy; it has no mass and no material origin. So how did it arise? Could it possibly have evolved from the chaos of that hypothetical Big Bang? So it should be no surprise that, since the book’s release 20 years ago, the existence of information has become a major stumbling block for those determined to explain our origins apart from God. And that makes a grasp of this issue critically important to all who rejoice in the Creator who has made Himself known through His handiwork. Ian Juby is producing a film called "The Noah Flood: A Changed World"
Click on the promo for more information. The Creation Science Society of Milwaukee, Inc. provides information supporting Creation and the Bible. If you have an interest in learning the evidence for Creation and against Molecules-to-Man Evolution, from either science or the Bible, please take advantage of seminars we conduct as well as the information we provide! Browse our Mission Statement and learn more about our organization and its goals. We host seven lectures a year (September thru April) at various different sites in the Milwakee area. We also offer speakers on various topics if you would like to share this valuable information in your church or event. Saturday or Sunday day-long seminars are also a great idea! Lectures range from 45 to 75 minutes, and feature PowerPoint presentations. With your permission, we can also offer many helpful resources, books, and DVDs to your attendees! Schedule a Creation Science meeting for your organization now!